Just prior to being hired for Rainbow, Carey was playing in a band called Blessings in 1975. Carey was fired after the 1976/7 Rainbow World Tour, mainly for being too predictable with his keyboard playing. He was rehired however, for the start of the ‘Long Live Rock ‘n’ Roll’ recording sessions, although uncredited on the final album. 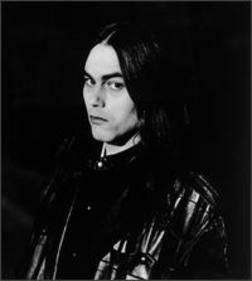 Recording credits were listed to David Stone but Carey was adamant that most of his keyboards made it onto the final album. Following his final dismissal from Rainbow, Carey concentrated predominantly on solo recordings, although in 2009 Carey teamed up with former Rainbow members Joe Lynn Turner, Greg Smith and Bobby Rondinelli along with Jürgen Blackmore (Ritchie’s son) for Over The Rainbow, a ‘tribute’ type act that intended to perform live. Carey left the project due to illness and was replaced by Paul Morris for the band’s debut at a Swedish festival in spring 2009.